How often do you tell your child to stop playing on their phone and do their homework? 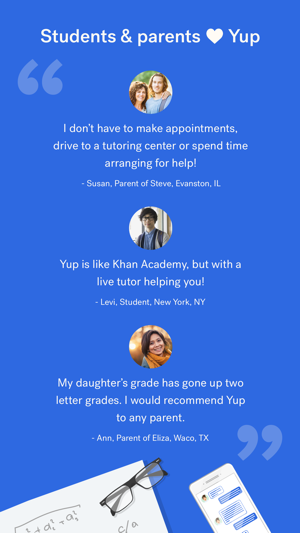 With Yup, they can get homework help while using their phone. Our secure app supports 1:1 messaging and whiteboard collaboration. With our latest update, Yup students now have access to Yup's Virtual Private Classroom. VPC gives them the necessary chat and image sharing tools to be successful, all in one intuitive screen. VPC provides the ideal environment for your student to learn how to solve problems together with a tutor. Check it out today! 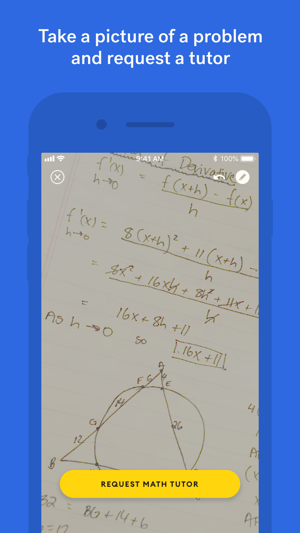 If you're enjoying using Yup, please leave us a review in the App Store! 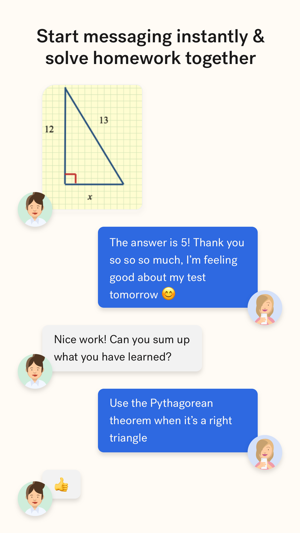 My daughter had 4 algebra two problems that she needed tutoring help with. The First tutor we had, despite my daughter having the correct answer, kept asking her to explain it - making my daughter feel as if the answer was wrong. This went on past our free trial. He went on for 15 minutes making her explain it and when she stated the answer she had 15 min earlier, he said it was correct. It was completely unnecessary to have her explain it when she knew the answer. He made it appear that she had the wrong answer during that 15 minute time period. I disconnected from that tutor. I Reconnected with another tutor to help her with one question however on the second question she disconnected from us because I believe she did not understand how to do the equation. I can hear and got the same tutor and she disconnected. This is completely unacceptable especially since were paying for it. My daughter is a visual learner and the third tutor would not write out the equation for her to understand, but kept asking her in written form to explain it. Kept saying could you please write up equation so I can understand it and she would not do so. It appears the tutors do not know how to help the students in their learning styles. I would not waste your money on this. I would get a one on one tutor face-to-face - it will save you money in the long run. Run from this app!!! Thanks so much for sharing! We are confident that this sort of experience is not typical, as are many of our customers who have left us hundreds of positive reviews. We have provided a full refund in line with our satisfaction guarantee. This review is from 5 months ago. Since then, we have made sweeping improvements to our service. We have policies in place to ensure tutors never waste students' time. Tutors don't leave sessions because they don't know how to do the problem - in rare cases there are connection issues. Our disconnect rate is now <1%. Our enhanced whiteboard tool, along with policies to ensure visual elements are used whenever appropriate, ensures visual learners have a great experience. Yup has been featured in Apple's Education App Store and has had a 4+ star rating for 3 years! Thanks so much for reading. Can’t say enough good things about this program! Yup has completely turned our daughter’s math experience around. She went from a stressed out, struggling math student to full confidence and an A grade on her final exam in a matter of weeks! The platform is perfect for her and the tutors are very positive, thorough, and confidence-boosting! They take time to make sure she understands the concepts behind the problems in a way that is very supportive and encouraging so she feels proud of what she does know instead of embarrassed by what she doesn’t. 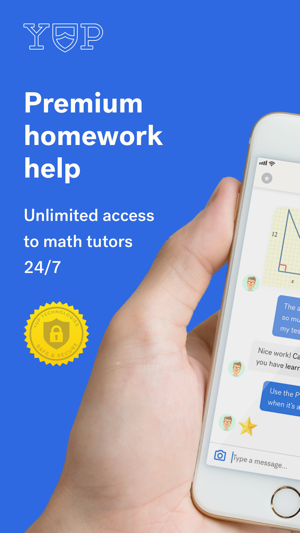 The app is very easy to use and the availability of the tutors is also a key factor - the ability to instantly receive support as needed reduces the frustration time immensely! As a parent it is a joy to work with Yup as well. From my initial contact with Thurain, who was very informative and helpful, to Marina who provides ongoing support throughout our journey, and all the tutors who keep a smile on my daughter’s face as she works through her homework. With Yup, you have a whole team of support! per month, I believe for a certain number of minutes. This was a reasonable fee structure for the quality of tutoring and the limitations of the platform. My daughter needed some help with a math problem last night and logged on to get some help. The next thing I know I was charged $899 dollars (no, that is NOT a typo) for a six month renewal. They have changed their platform to unlimited tutoring at a minimum 3 month membership is $599 and a year is $1199. This product is simply not worth this type of investment. It is really too bad because at $50 a month it was good for what it is. Thank you so much for taking the time to provide feedback to us. I am so sorry that you did not have a positive Yup experience. We found that students were stressed about the amount of time they were using Yup, so we moved towards an unlimited model which still breaks down to about $20/hr or less than $100 a month. Additionally, I am so sorry that you did not have a positive experience with our tutors. Our application process is incredibly rigorous- only 3% of applicants are accepted as tutors and they are constantly tracked to maintain a high level of expertise. We would love to learn more about your experience and look into these sessions- please send us an email at support@yup.com.